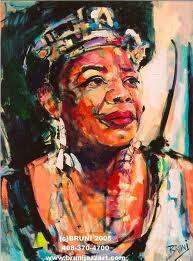 Painters and Poets: Poet Maya Angelou's "Phenomenal Woman"
Poet Maya Angelou's "Phenomenal Woman"
We will consider all poems or paintings that incorporate poems as long as you own the rights. Please review blog entries to see the format and content we like. Then email your work with a short bio to ekblog2013@aol.com. Frank O'Hara "Why I Am Not a Painter"